If you happen wake early on Friday in downtown Kabul, you might catch a glimpse of a group of seven or eight young girls, in complete athletic gear, with their scarves in place under their biking helmets, cycling away to glory. It is an unlikely sight in this war-torn city that is often defined more by its violent past, than the developing present. But not an uncommon one. 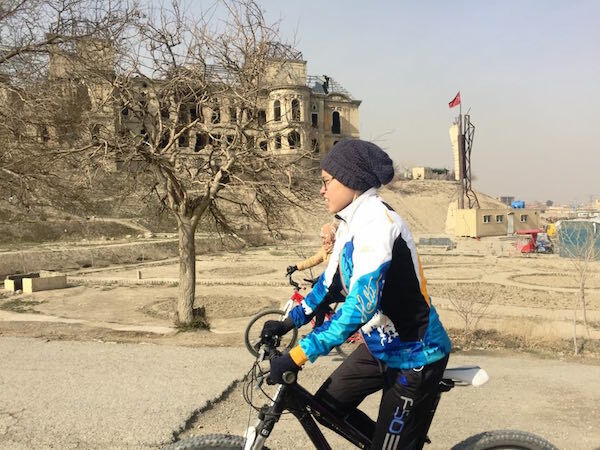 "So many Afghan girls are breaking stereotypes and taking up cycling and other sports," Zahra Hussaini, leader of the women's team of Afghan Cycling Federation, tells Catch News. "It's not always easy, but these are brave young women," she adds with much pride. Zahra is from Bamiyan, where the Afghan Cycling Federation is based. Their women's team comprises around 40 young female cyclists, who've been nominated for the prestigious Nobel Peace Prize, and will be measured in the same league as the Greek Islands for their work with the refugees. "It's an honour to be just nominated," says Zahra with a gracious smile. 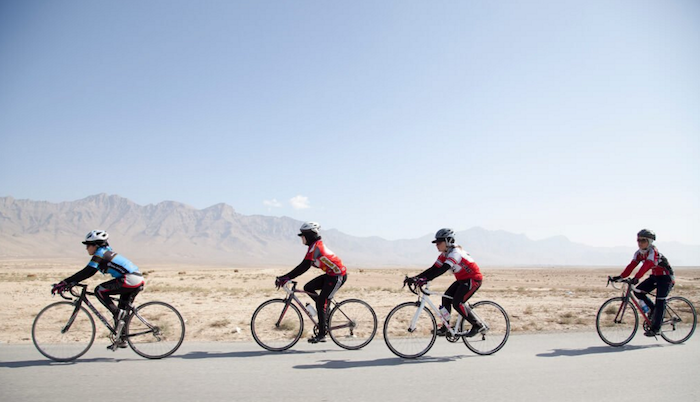 Around 118 Italian MPs across parties signed a petition, last month, nominating the Afghan Cycling Federation's women's team for the Nobel Peace Prize. "Women who ride their bikes in Afghanistan, including those of the Cycling Federation, are in fact starting a 'gentle' battle for freedom, rights, and peace in a country still torn by war and terrorism," Ermete Realacci, a Democratic Party leader stated at a press conference. 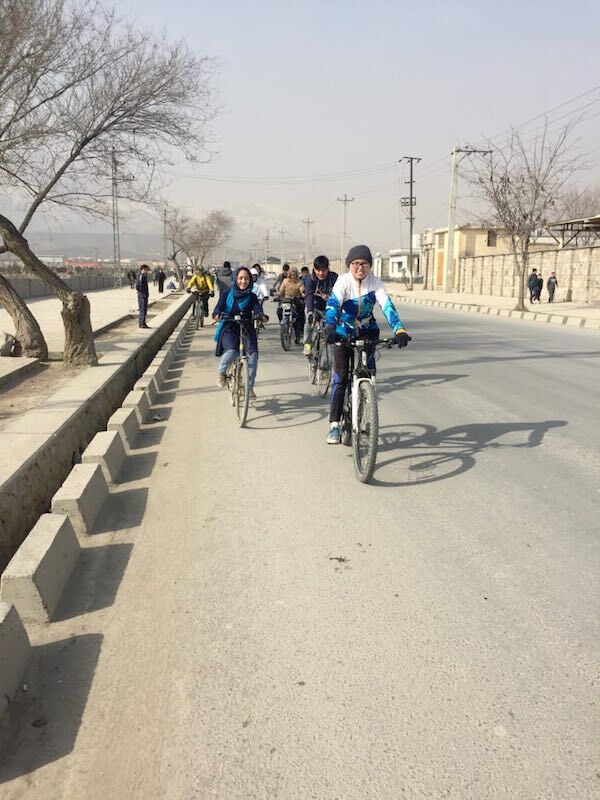 Outside Bamiyan, Zahra encourages another group of male and female cyclists in Kabul to continue riding their bikes. "It is difficult as women to ride bikes, but riding alongside boys is a whole different challenge," explains another rider Halima Habibi. She is, of course, talking about harassment from bystanders and ruffians. 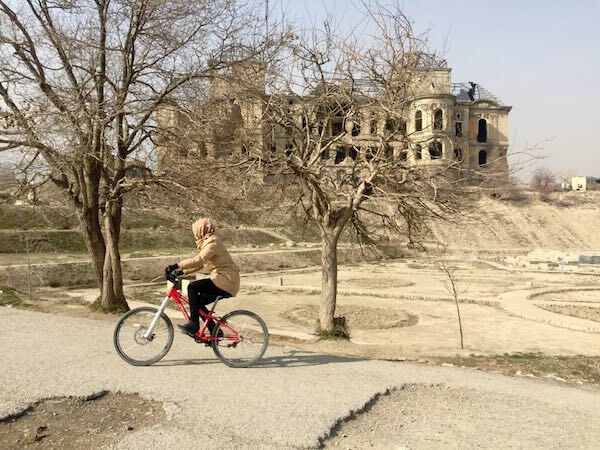 Even as we pause near the ruins of Darulaman Palace for this interview, a couple of young men approach Halima teasing her about being on a bike. But since one of the ideas of this whole initiative is to break stereotypes, Halima politely asks them to step backwards as she races past a broken down structure of what must have once been the Palace's sun deck. Impressed and speechless, the young boys are all praise for the girls and agree to leave them alone. But as they're walking away, one of them tells the other, "If I could take a second wife, I would marry her." In fact, the girls get a lot of marriage proposals, perhaps even more than the number of threats they receive from extremists. "Just this week, I've turned down three marriage proposals," Zahra says with a giggle. Marriage is the last thing on their minds. 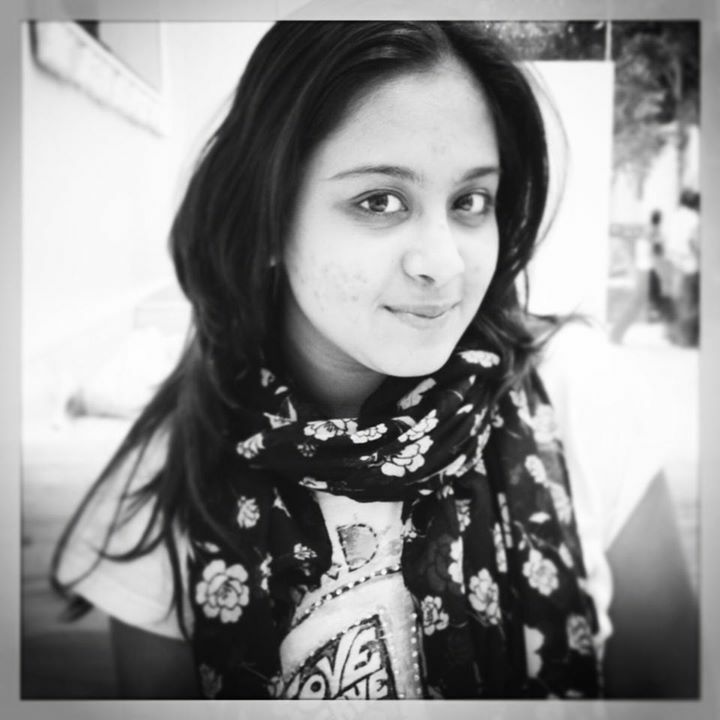 Zahra, a competitive biker, aspires to participate in international marathon games. She follows a strict training regime that includes training three to four times a week. But she cycles because it frees her emotionally and physically. "When I'm cycling, I can think better." Her biggest challenges, though, comes in the form of threats from offended conservatives. Years after the fall of the suppressive Taliban regime, they still receive threats to their lives from fundamentalist elements who disapprove of their activities. "Street harassment we can deal with," Zahra explains. "But sometimes they start to throw things at us. Once, we were asked by a local Mullah in Bamiyan to stop cycling during Muharram," she narrates. But Zahra and her fellow cyclists were raised to be empowered and they see the threats as a challenge and not a deterrent. "My parents died when I was young and my sisters raised me as a boy. Even as a child I had all the freedom and privileges a young boy would get," she says. This freedom allowed Zahra to gain a perspective different than what most Afghan women her age would carry. "I believe there is nothing that I can't do," she adds with confidence. Whether they win the Nobel Prize or not, these girls are already winners, empowering other women in a deeply conservative society. They've broken stereotypes, leading the way for peaceful change. Halima aptly describes her determination with a common saying in Dari, "As hard as you try to kill us, we will stand up again." Ruchi Kumar is an Indian journalist living in Kabul with her cat Bukhari. On most days, she reports on the ongoings in the region. Rest of the time, she reads, writes and wanders around Kabul looking for people who will tell stories.